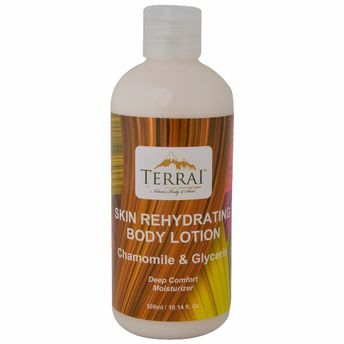 This clean natural aromatic blend offers a potent but soothing and nourishing skincare that protects skin against dryness. 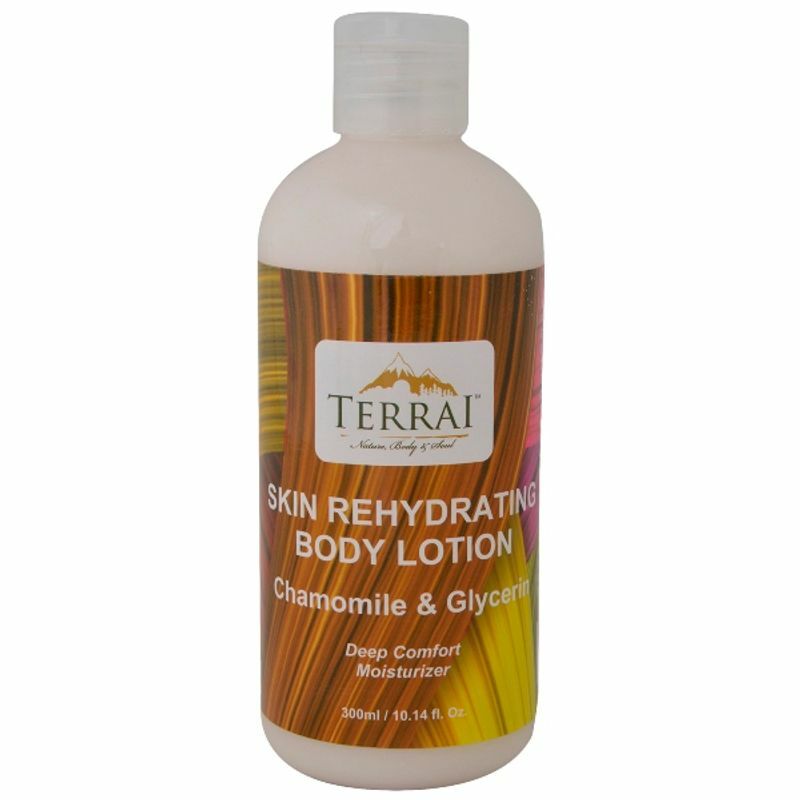 Terrai Chamomile & Glycerin Lotion is a daily hydrating body lotion crafted for maximum comfort and convenience. It soothes dry skin and forms a protective layer that feeds the skin with extra moisture, providing visible improvement in the skin health.